A recent press release from the Central Florida Freethought Community (CFFC) reports that in the wake of the Greece v. Galloway decision by the U.S. Supreme Court, the CFFC is contacting an array of local councils, boards and commissions that currently start their meetings with a religious invocation. The goal is to have CFFC members offer “a non-religious reflection before such meetings which would be inclusive of all citizens, unlike the current practice of prayer, which is exclusive of non-believers and divisive among religious people. . . ,” says David Williamson of the CFFC. “Our aim is to ensure that non-believers, as well as all other religious minorities, are included.” Williamson points out that the court’s decision “specifically includes equal access to the invocation as part of its justification for allowing the prayers to continue. The court’s decision reads, in part, ‘The town [Greece, NY] at no point excluded or denied an opportunity to a would-be prayer giver. Its leaders maintained that a minister or layperson of any persuasion, including an atheist, could give the invocation.’” The Central Florida Freethought Community describes itself as “a secular organization focused on protecting the separation of state and church.” The CFFC hosts aFacebook page. Click here, here, here and here for reports of how other non-theist and religious groups are responding, including a recent Orlando Sentinel article about what’s being done in Central Florida. 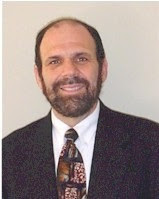 “How can we of Jewish and Christian faith traditions walk and work together on our spiritual journeys?” That’s the topic Rabbi Rick Sherwin of Congregation Beth Am (3899 Sand Lake Road, Longwood, FL 32779) will address at 7:00 pm on Tuesday, June 10, at the St. Gabriel Life Center atAnnunciation Catholic Church (1020 Montgomery Road, Altamonte Springs, FL 32714). The event is free, and the public is invited to this evening of dialogue, questions and answers. “Rabbi Rick,” as he’s referred to by those both within and outside of his synagogue, has more than 30 years of experience as a pulpit rabbi. A graduate of UCLA and ordained by the Jewish Theological Seminary in New York, Rabbi Rick is well-known to the Jewish Community of Central Florida. He serves as an adjunct professor of Judaic Studies at the University of Central Florida and is a past president of the Greater Orlando Board of Rabbis. One of his community activities is serving as a chaplain at Nemours Children’s Hospital. Each year American Councils for International Education sponsors some 2,000 scholarship students from the former Soviet Union, the Middle East, the Balkans, Africa or Southeast Asia, creating an opportunity for Americans to open their hearts and homes, sharing U.S. culture, gaining a new family member and promoting mutual understanding. The students come for one academic year on fully funded U.S. State Department merit scholarships. They attend the local high school of the host family and receive a monthly stipend and medical coverage from American Councils. Host families provide meals, accommodation and a nurturing, English-speaking home environment. The students are encouraged to be active in volunteering and learning about American society. Sometimes students seek a host family of a specific faith tradition. You can be part of changing the world one family and one student at a time. View a brief video explaining the program. For further information, send an email to Susan Peterson, local coordinator of American Councils. Or phone her at 407-678-4693 (home) 321-439-1105 (cell). Most faith-based organizations are deeply committed to improving the community. The Adult Literacy League (345 West Michigan Street, Suite 100, Orlando, FL 32806) is a ready resource that can benefit those whom houses of worship are already seeking to assist. Every house of worship needs to become a literacy referral agency. Poverty and many other social disadvantages are often caused by or exacerbated by limited literacy. And limited literacy, in turn, often gets passed from generation to generation. So faith-based entities can ensure that those who could benefit from the League find out about its existence. Also, the League is always looking for volunteers–and the range of skills needed is wide. It’s not just about reading. The Adult Literacy League provides an array of one-on-one tutoring and classes. The League currently serves 1,000-plus adult learners on a weekly basis. In addition, the organization serves the early literacy needs of more than 600 low-income, pre-school children through its family literacy program called Read to Me! Classes offeredinclude: English as a Second Language, Job Skills, GED-Prep, Citizenship, Math, Adult Basic Education and more. To register or to learn more, please call 407-422-1540. A nominal fee of $20 is charged for each class, payable at registration. Did the U.S. Supreme Court make the right call in its Greece v. Galloway decision (which allows prayers at government meetings to be sectarian)? What would be your faith tradition’s response? What is your personal response? That’s the topic for the monthly Interfaith Discussion to be held on Wednesday, June 11. The discussion group meets from7:00 to 8:30 pm on the second Wednesday of each month at Adventist University of Health Sciences on Florida Hospital’s main campus. The discussions are respectful, open and candid, and the participants represent a variety of faith traditions as well as those who question the validity of faith altogether. For directions to the meeting place, click here. Admission is free. Everyone is invited. Christians in general and Hispanic Christians in particular may want to mark their calendars for a day of music, praise and preaching atCalvary Assembly of God Church (1199 Clay Street, Winter Park, FL 32789) on Saturday, June 12. Doors open at 8:00 am for a free-of-charge morning of music, praise and preaching, which starts at 9:00 am. Although this is a Spanish-language event, music has universal appeal. And the musical selections will include both Spanish and English songs. The Grand Concerto of the Festival Nacional Hispano–a musical extravaganza–begins at6:00 pm. The admission charge for that section of the event is $12, and tickets may be purchased online. For more information, email Samuel Johnson or phone (321) 303-9058. The InterDiversity Institute, Building US and the Interfaith Council of Central Florida are collaborating on a one-week summer leadership-training program for middle-schoolers. Called the “Youth – Summer Leadership in InterDiversity Program” (Y-SLIP), the event will run from Monday to Friday, August 4 to 8, from 8:30 am to 5:30 pm each day. Drop-off and pick-up will be at Valencia College’s Winter Park Campus (850 West Morse Blvd., Winter Park, FL 32789). The program seeks 30 middle-schoolers (rising 7th-, 8th-, 9th-graders) who reside in Central Florida and who represent diverse backgrounds–culture, national origin, religion/no religion, sexual orientation, philosophies/ideas–with an even mix of female and male participants. All participants are covered by scholarship, so there is no charge. For more detail and to apply, go to Y-SLIP. The deadline for application is June 15. “Millennial adults in the United States–that is, Americans ages 18 and older but born after 1980–are more ‘detached from institutions,’ including traditional religion, than their elders, according to a Pew Research report released earlier this year. We’ve also known for a while that younger generations are less likely to affiliate with religious groups.” So says an article posted at pewresearch.org. The article continues: “Our new survey of U.S. Hispanics and religion enables us to take a more detailed look at whether the trend holds true among the country’s largest ethnic minority. And indeed, Hispanic Millennials mirror young American adults overall in their lower rates of religious affiliation and commitment compared with their older counterparts.” Twenty-eight percent of Hispanic Millennials, and 31 percent of U.S. Millennials overall, report having no particular religion or are atheist or agnostic. The comparable numbers for all U.S. adults are 18 percent for Hispanics, and 20 percent for the populace in general. For those who haven’t heard, Oviedo and Eastern Seminole Country are blessed to have a nonprofit in their midst called HOPE Helps, Inc. The organization’s mission is “to prevent and reduce homelessness in Central Florida by equipping individuals and families to become self-sufficient through Housing, Outreach, Prevention, and Education.” A quick look at HOPE Helps’ website makes it clear that they’re engaged in a wide range of activities. Thus they need a lot of volunteers–especially during the summer, when people may be away on vacation and when many student volunteers may be otherwise engaged. So HOPE Helps is urging everyone to “please spread the word to your friends and family” about their need for help. They also have need for one or more specialized volunteers in their administrative offices–researching, marketing, tabling, mailings, proofreading, grant research and more. Thevolunteer coordinator will be happy to answer your questions about volunteering. Check the website calendar to see when the next Volunteer Orientation is scheduled. The Islamic Center of Orlando sponsors an open house at 6:30 pm every Wednesday night to answer the public’s questions about the Islamic faith. And it’s being done in a relaxed and casual setting “over a cup of coffee.” They’re even providing the coffee! The question-and-answer events will be held in the dining room of the Muslim Academy of Orlando (MAGO), situated at 11551 Ruby Lake Road, Orlando, FL 32836 (just off Apopka-Vineland Road, near Lake Buena Vista). For more detail or to make a reservation, phone 407-495-6139. The Islamic Society of Central Florida (1021 North Goldenrod Road, Orlando, Florida 32807) offers a variety of activities designed specifically with the non-Muslim community in mind. These include: (1) an ongoing series of presentations called “Pursuit of Peace: Introduction to Islam,” which runs each Saturday from 10:00 am to 1:00 pm; (2) a fourth-Saturday-of-each-month-single-event “Open House Invitational” that gives a general overview of Islam and includes an international meal; (3) an annual “Building Bridges and Breaking Bread Banquet” (to be held on June 21 this year) that introduces non-Muslims to Ramadan. For more information or to sign up for any or all of these events, go to Eventbrite. 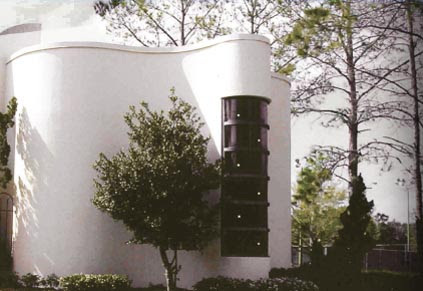 The Holocaust Center (851 North Maitland Avenue, Maitland, FL 32751) is spearheading a multi-participant, region-wide commemoration of the 50th anniversary of the Civil Rights Act in 1964, with an array of entities hosting various activities throughout 2014. “We have long recognized the affinity between Jews who fled Germany because of the increasingly worrisome restrictions under Hitler’s rule and African-Americans who were kept in second-class citizenship by a patchwork of Jim Crow laws,” says an announcement on the Holocaust Center’s website. The public is invited to the kick-off event of this commemoration on Monday, June 30, from 10:00 am to 12:00 noon on the steps of City Hall, followed by a reception and entertainment in the rotunda. The kick-off is co-sponsored by the Office of Community Affairs and Human Relations for the City of Orlando. The Islamic Center of Orlando, in the spirit of building bridges of dialogue and understanding about Islam, annually invites those of other faiths to experience with them a day of prayer, fasting and the ritual fast-breaking dinner (Iftar) at sunset. This year the invitation is for Monday, July 21. Each year during the month of Ramadan, Muslims fast from dawn until sunset for 29 or 30 days until the arrival of the new moon. During that time, they do not eat, drink or have conjugal relations from dawn until sunset. As a prelude to the the Monday event, on Sunday, July 20, at 9:30 am at Saint Luke’s United Methodist Church(4851 South Apopka-Vineland Road, Orlando, FL 32819) in their Attic (Building C), Imam Abdurrahman Sykes will host a one-hour “Ramadan 101” class to explain the next day’s events, which will be held at the Muslim Academy of Greater Orlando (11551 Ruby Lake Road, Orlando, FL 32836). If you’re unable to attend the “Ramadan 101” class at Saint Luke’s, you’re still invited to participate in the July 21 Iftar. Plan to arrive at 7:45 pm sharp. Seating is limited, so RSVP by July 16 to nuransykes@gmail.com or 407-629-5590. Please provide your name, the number in your party and your religious affiliation. The Interfaith Council of Central Florida, Friends Talking Faith With the Three Wise Guysradio program, Building US and the just-emerging InterDiversity Institute–all of which work closely together–invite those who are blessed by the contribution we make to the community to help us in return. All contributions are tax-deductible and may be sent to: PO Box 3310, Winter Park, FL 32790-3310. 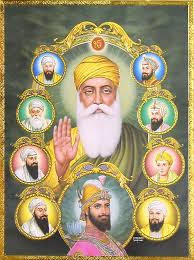 Indicate which of the four entities above you wish to receive the benefit of your gift.